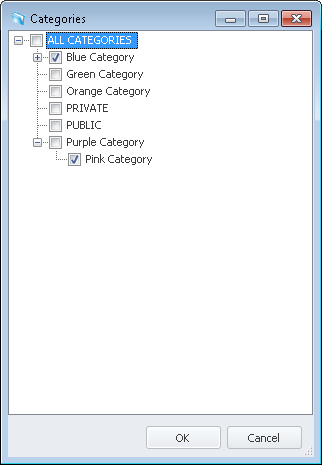 Click 'Categories' from the left navigation bar. 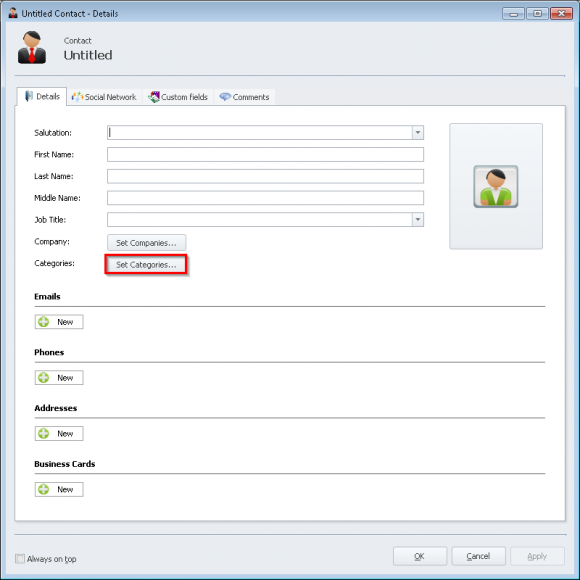 Select the 'Category' that you would like to add a contact to and click 'New Contact'. The 'New Contact' window opens. Here you can add the details of your new contact. 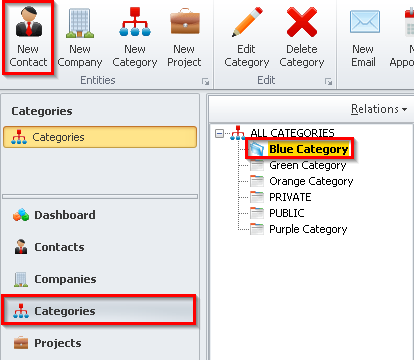 Click the 'Set Categories' button to link the contact to a category (or multiple categories). The 'Categories' window opens. 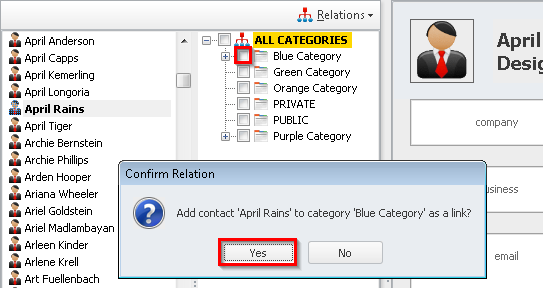 The contact should already be linked to the category selected before clicking ‘New Contact’. You can now add your contact to any other category or sub-categories. Click the “+” sign and check off the desired sub-category to add the contact to sub-categories. Click the 'OK' button to continue. Click the 'OK' button to save the contact and the linked categories. Select the contact you would like to add to a category. Select the 'Relations' button and select the 'Show Category' button. Select a category to add your contact to. The category is now linked to the contact.